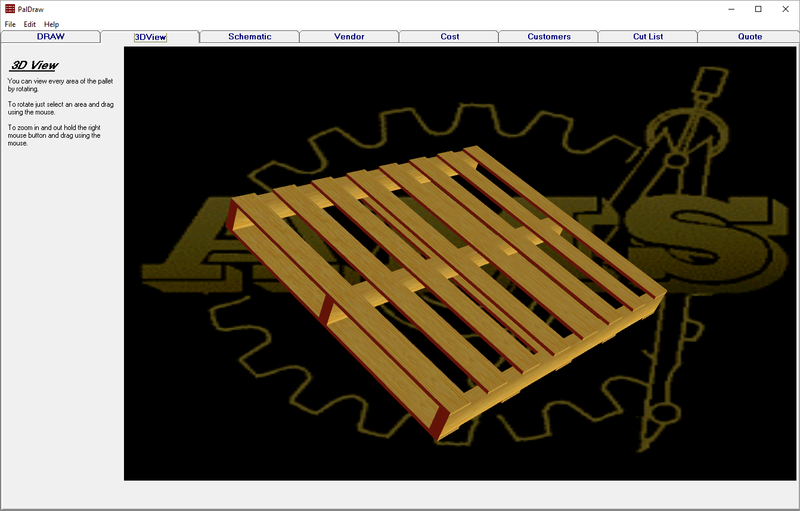 Professionally created pallet drawings can be produced simply and quickly. When adding a personalized price quote, the drawing can be sent to customers for immediate approval. 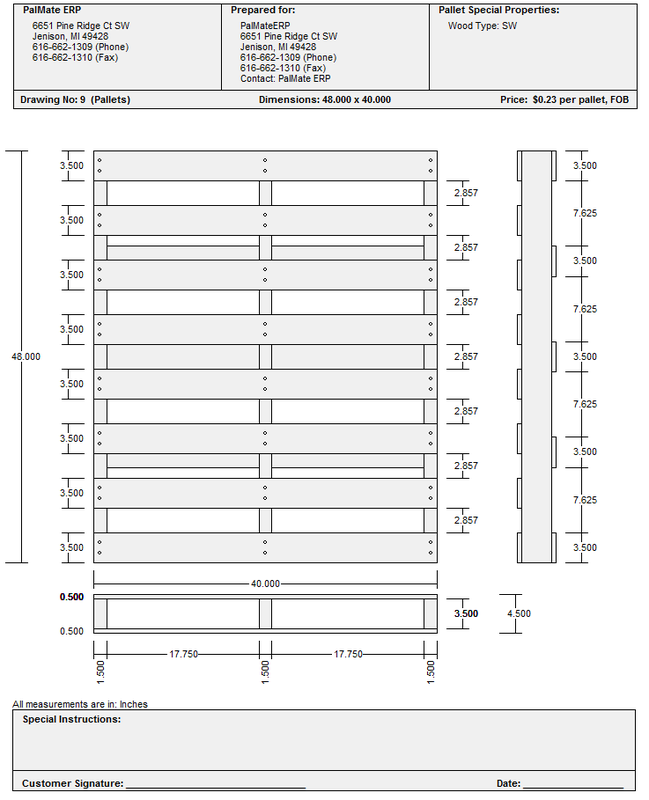 PalDraw users draw specifications to scale. Each drawing gives the dimensions, grades and materials. The standard grades and materials can be used, or custom grades and materials can be created. 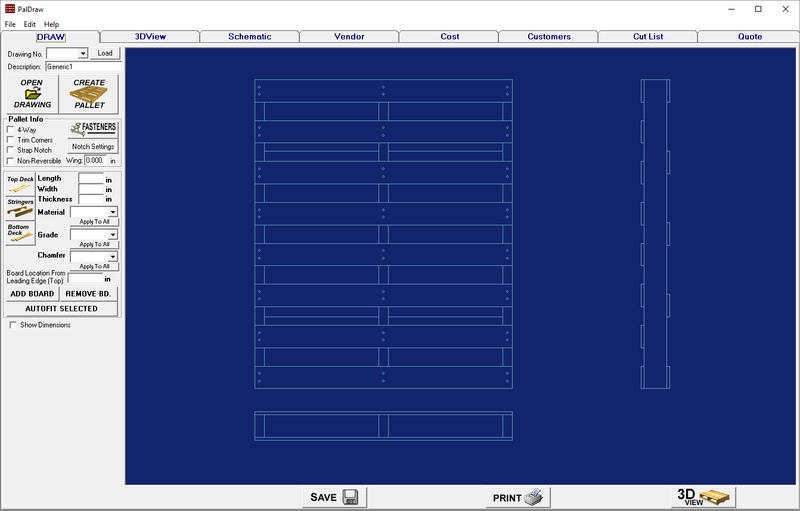 PalDraw can be used as a stand-alone application or used to import drawings and specifications into PalMate ERP to create a product ready for use. •	Attach drawings and quotes to specific customers or save for use with other customers. Try PalDraw cost-free for 30 days. *Both PalDraw updates must be installed.